Divi Resume is a Personal Portfolio Child Theme designed for creative designers, developers and freelancers. It’s very easy to use and has minimal design. We integrated a popular animation engine to this child theme so you can animate any Divi element easily. 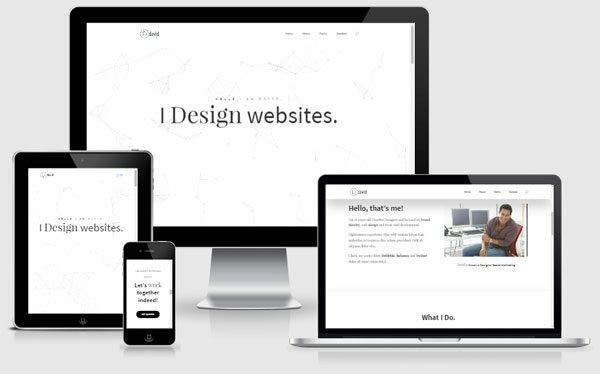 Divi Resume is a Personal Portfolio Child Theme designed for creative designers, developers and freelancers. It’s very easy to use and has minimal design. We integrated a popular animation engine to this child theme so you can animate any Divi element easily. We used this child theme in this web site. 1. 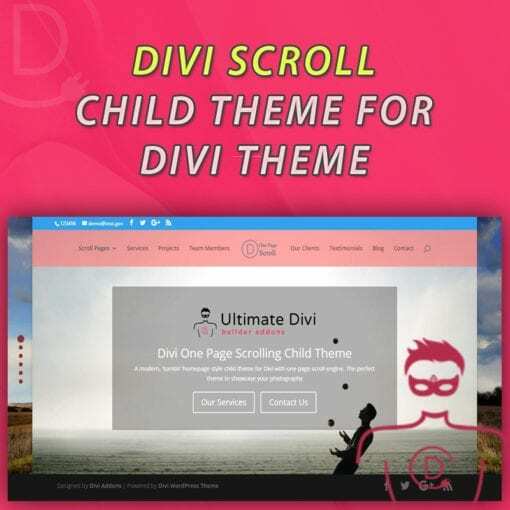 Install and activate the Divi Resume child theme. You need to install ‘BH Custom Preloader’ plugin to show the preloader you see in the demo. 2. Go To Divi > Divi Library. Click on “Import & Export” at the top and import the .json file (import/Divi Builder Layouts.json). This will import Divi Resume Layout into your Divi Library. 3. Go to Divi > Theme Options. Click on “Arrow Up / Arrow Down” at the top right and import the .json file (import/Divi Theme Options.json). This will import all Divi Options Settings. 4. Go to Divi > Theme Customizer (or Appearance > Customize). Click on “Arrow Up / Arrow Down” at the top left and import the .json file (import/Divi Customizer Settings.json). This will import all Customizer Settings. 5. Create and publish a new blank page. 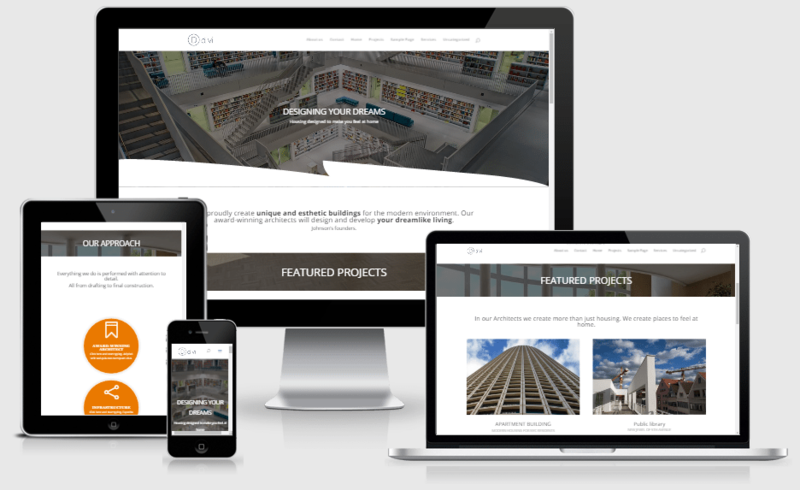 Activate the page builder and load the “Resume” Layout from the Divi Library: click Load from Library > Add from Library and load “Resume” Layout. 6. Go to Settings > Reading and set your new page as the Front page. 7. Go to Appearance > Menus to create a new menu and assign it as the primary menu. – You need to create “Custom Links” for each section. Add these anchors to your menu items: #home, #aboutus, #portfolio, #contactus. 8. Active “BH Custom Preloader” plugin and Go to Settings > BH Custom Preloader WordPress Settings. You can select any loader and other settings. 9. 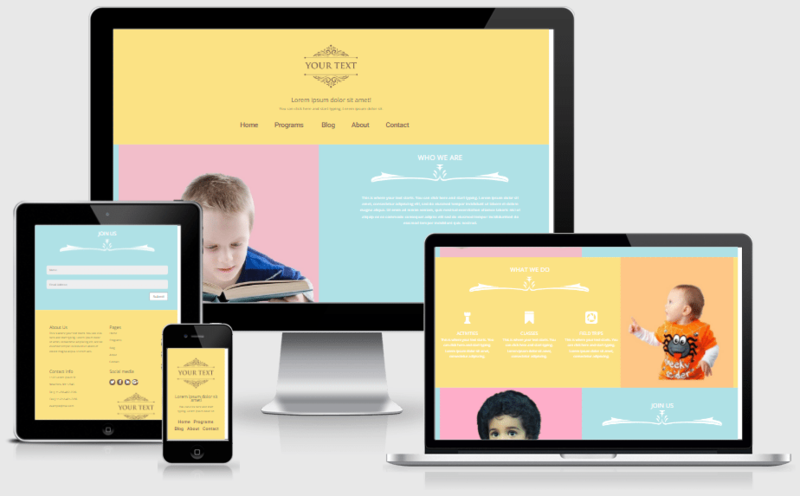 Check frontend and enjoy your new child theme! * Remember to change ‘Permalink Settings’ to Post name for better SEO. Thanks to Siniša Janićijević of our Facebook group. * You can edit Footer credits from child theme footer.php file: Appearance > Editor > Divi Resume > Theme Footer. Look below <!– #et-footer-nav –> in the footer template document. Version: 1.1 Added element animation support for the child theme. Create amazing CSS animations as you scroll down a page. We integrated ‘WoW animation library‘ to this child theme so you can easily animate any Divi Module/Row or Section. Create stunning webpages using these animation classes. You just have to add class “wow” with below classes into Row or Section or a Module. Example : “wow bounce” , “wow swing” , “wow bounceInDown” etc..